Ensign Equipment is a manufacturer of bulk material handling equipment in Holland, Michigan. 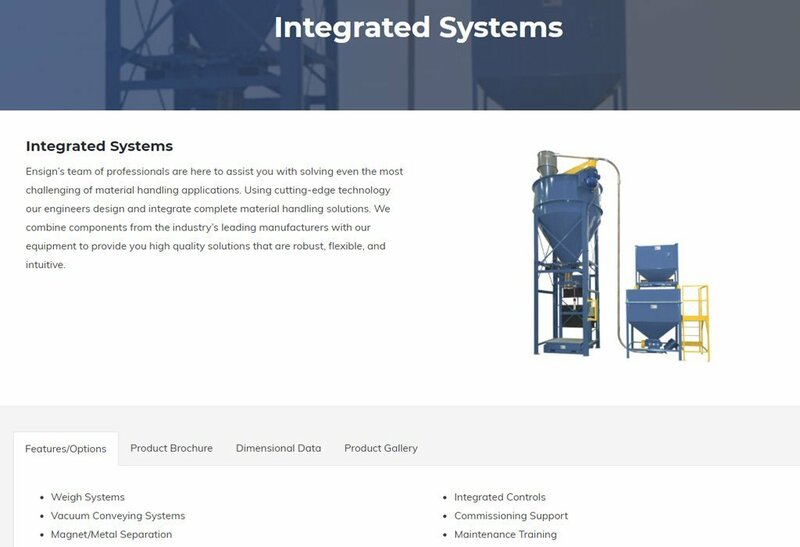 They wanted a site redesign to better represent their company, and to share more info about their products. We designed the site to fit their brand identity and the equipment they engineer and manufacture. The homepage introduces the company and features several equipment categories. The Products page includes a filterable gallery of equipment. As you click each category, the page changes to show only equipment in that category. Each piece of equipment includes details and a photo gallery. 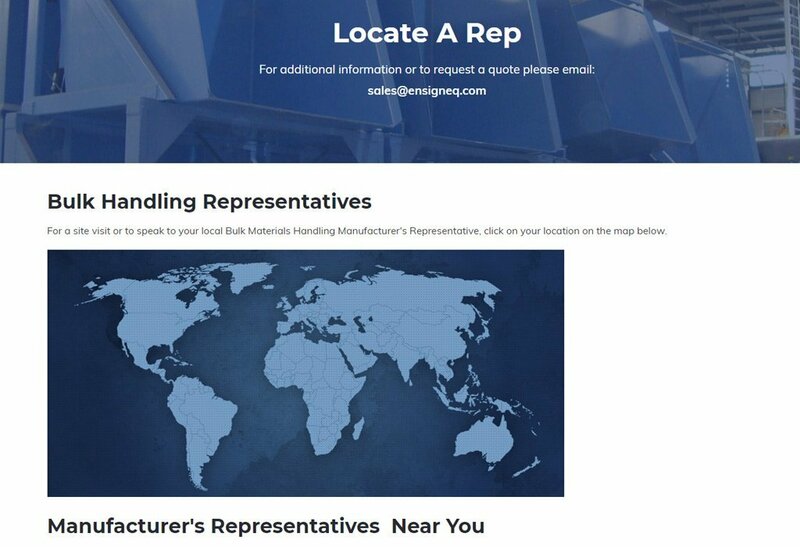 The Locate a Rep page provides a clickable map and navigation to help visitors to find the representative nearest them. The site uses a mobile-friendly (responsive) design, so it works well on mobile devices as well as desktops. The site is powered by WordPress, so the company can edit the site’s content themselves. We included a drag-and-drop page builder to make editing even easier. We performed search engine optimization (SEO) when building the site, to lay a foundation for attracting visitors from search engines.